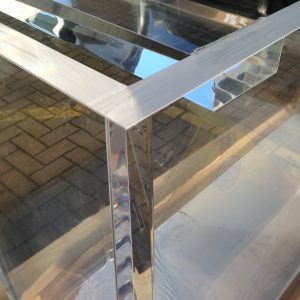 We are an acrylic aquarium builder and can supply any size of acrylic tank or aquarium design. 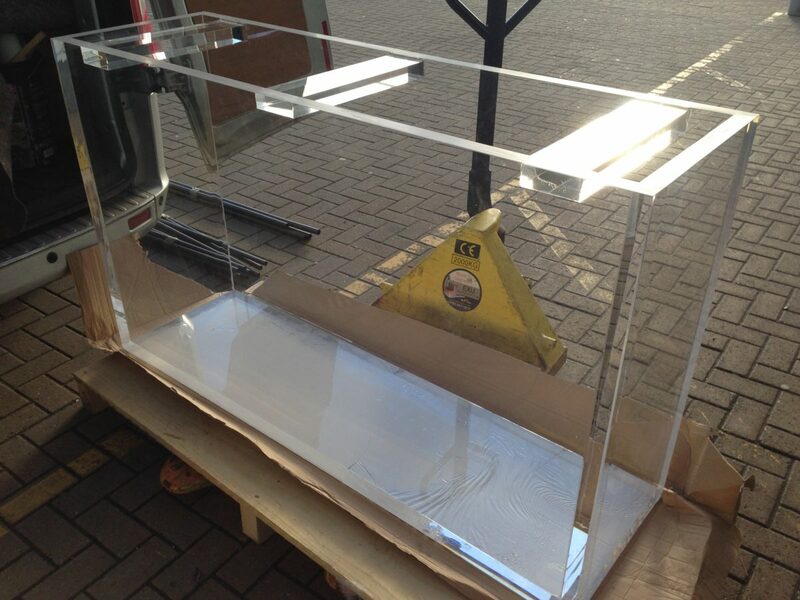 Our latest bespoke fish tank build is this custom sized acrylic tank which will be shipped direct to our customer. It measures 1500mm long x 464mm deep x 900mm high. And manufactured from 35mm thick cast acrylic. Why choose an Acrylic Aquarium? An acrylic aquarium has many benefits over a glass tank. The main ones being its clarity and strength. Acrylic is very transparent and does not suffer from the green tint seen in glass. As well as being far stronger and more durable than glass. Which is why it’s used in most public aquariums. Therefore, a much larger tank can be built in acrylic than glass as acrylic is available in greater thicknesses. This makes it perfect for building a monster sized tank! 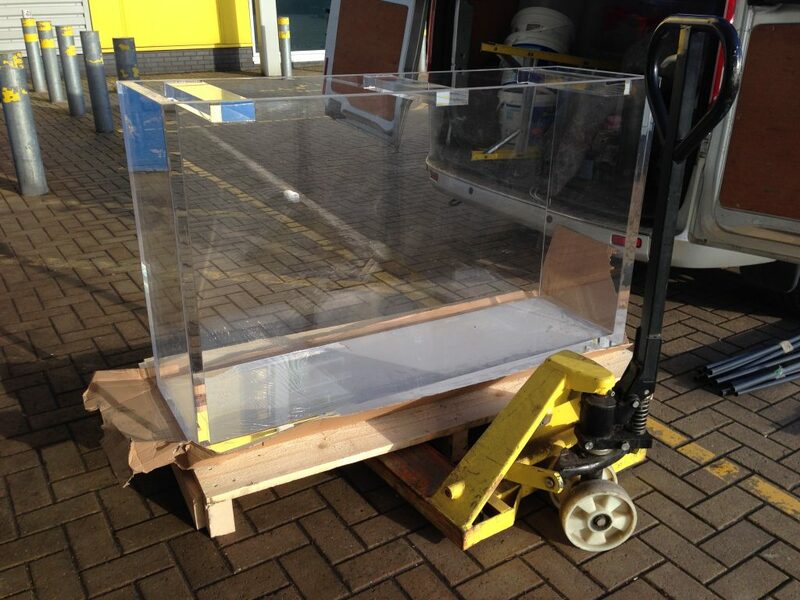 Utilising a template, we can supply our tanks to create bespoke fish tank designs and shapes. This process involves “baking” the acrylic sheet in an oven around the template to form whatever shape required. The shape and design possibilities are endless. Additionally, acrylic aquariums are much lighter in weight than glass making them easier to transport and handle. Interested in purchasing an acrylic aquarium? Telephone 01457 511138 or email us.